How do I subscribe to Deezer? I had an account till yesterday. My account on mine mobile is still going on, but on mine computer has stopped.Please can you help me, How to subscribe? You can subscribe at your account settings . I show you at the screenshot. Hi @jazzman, please compare the user ID shown on your mobile and on you PC. Are they the same? How do I upgrade my Deezer to Premium+? My free trial ended but I can't find a option for upgrading. I can't find the "My Music" option either. I want to subscribe to Deezer premium+ but I can't find any option to subscribe . I even tried logging out and then logging back in. It still doesn't seem to work. @Khulenx_Skri does this explanation help? You should also see a blue button "subscribe" on browser and in the app. What happens if you click that button? I have the same problem. I cannot subscribe. I tried the PayPal option but there I am asked, after I logged in, to enter a bank accout. But I already have one and when I press "weiter", nothing happens. So next I tried to subscribe over "Lastschrift" but all I get there is a request asking to check the name of my account which of course is correct. So what I do now? I have tried my desktop PC, Tablet and Mobile but the same problem on all 3 systems. Btw I have tried the Google chrome and firefox internet browsers. same problem. How to subscribe to Deezer? I can’t listen to any song now. Hi @Frank Normansell sorry for the delayed reply. I just checked your account and all payment methods should work. Please try another browser on Pc and let me know if you still have issues. my already existing PAY Pal account. 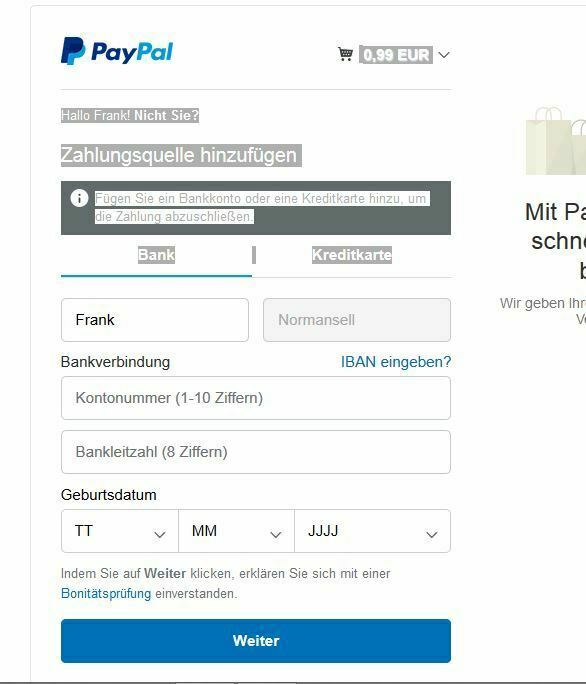 @Frank Normansell please log into paypal on browser on a PC first and make sure the card is linked to your paypal account. Afterwards open another tab and then try again to subscribe through paypal. Does that work? If not, it seems as if the card is not properly linked to your paypal account. Any chance you can try another payment method? How do I upgrade to premium? It keeps on saying that my email address is already in use. @Ruffy have you tried the link https://www.deezer.com/en/offers? Hi, my free trial period is over but I can't find anywhere on the app that allows me to pay for subscription. How do I pay? @rufina.anozie have you tried the link www.deezer.com/offers ? What's up, @Anaya.Shahid ? You need any help?